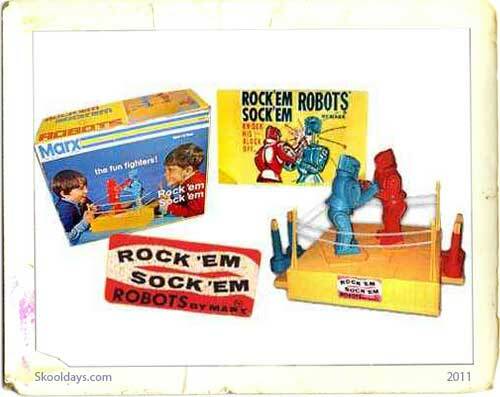 Another great retro 60’stoy. The Etch-A-Sketch has been called the original laptop, by the way, so if you like the idea of that, then think of the stylus as the cursor-equivalent. When the stylus moves, it scrapes over the screen and leaves a dark trail in its wake. The artist can draw to his heart’s content, and if boredom or frustration creeps in, a good hearty shake of the Etch-A-Sketch jumbles the powder and clears everything from the screen. This 1976 figure gets a small part in Toy Story, Stretch Armstrong was much more than muscles; he was malleable. Bend him, pull him, twist him, tie him in a knot, it didn’t even faze him. He laughed at your puny attempts to harm him. Stretch’s limbs could be pulled to four times their natural span and still manage to squeeze back to normal size, without unsightly stretch marks. Barrel of Monkeys play an important part in Toy Story especially helping them escape out the window in Toy Story 1. 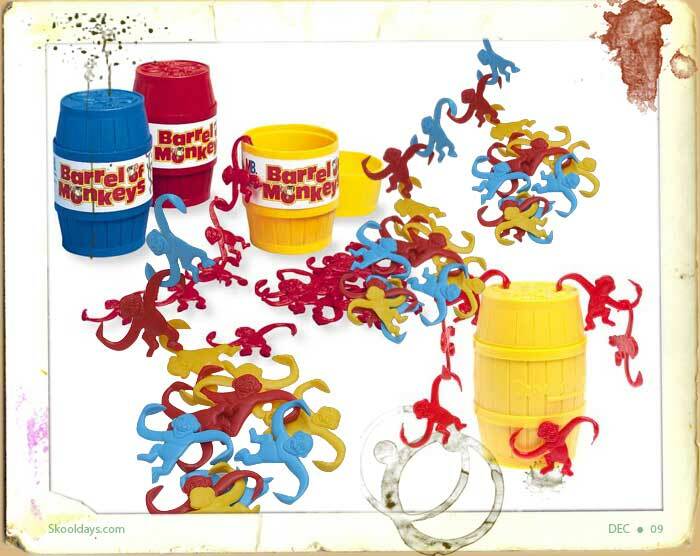 Lakeside Toys first introduced Barrel of Monkeys in 1966. 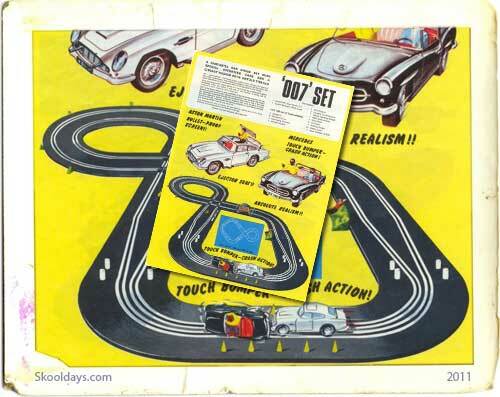 It only took seconds to learn, but the challenge could keep players hooked for hours. Inside that plastic barrel were twelve little plastic monkeys, their little arms and hands extended so they could easily hook onto each other. Mr. Spell is seen in the Toy Story movies and is often seenlaughing with ha ha ha ha ha across his display. Mr. 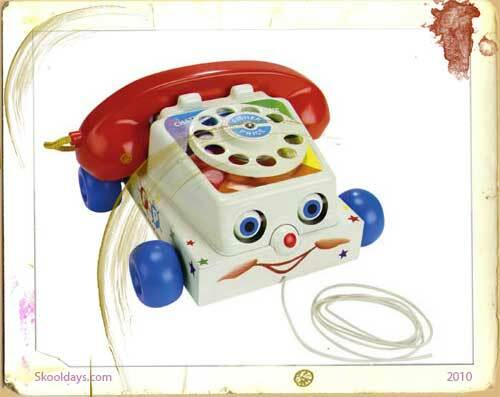 Spell is based on a popular 1970s Speak & Spell toy by Texas Instruments. 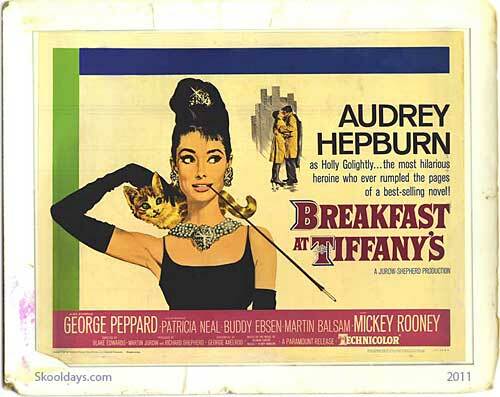 Speak & Spells are not made today, but their popularity continues to live on. It has become a popular possession for Generation X adults who want to relive their youth, and musicians often sample Speak & Spell’s vocal sounds to create trippy yet oddly familiar effects in their music. 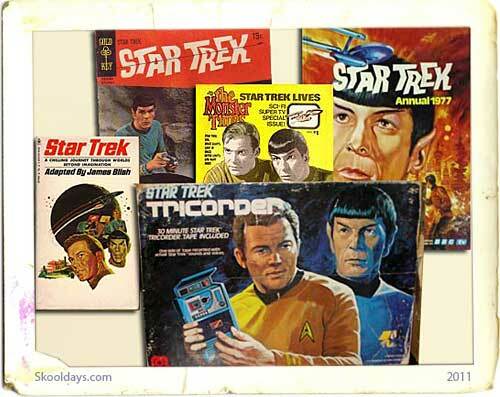 This entry was posted in Movies, Toys and tagged 1960, 1970, 1980 by Skooldays. Bookmark the permalink. Its like opening my old toy box again!